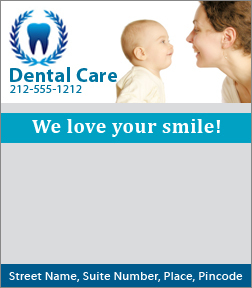 A 3.5 x 4 inches square corner dental magnetic memo board can be sought by dentists and other dental professionals, who wish to keep their brand reputation alive for long time with fewer efforts and lowest investment. A suitably designed magnetic memo board not only makes a wonderful brand token, but also a good refrigerator art. Advertisers who wish to cut down their advertisement budget can always order it in bulk.